Breathtaking view? Check. Easy to difficult pistes? Of course. 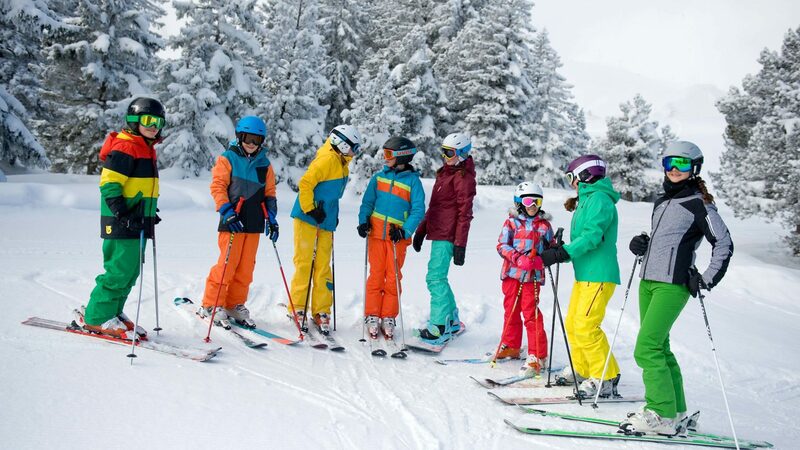 Affordable ski day passes for families? Sure. Ski school? Yes. Short travelling times? From all directions. 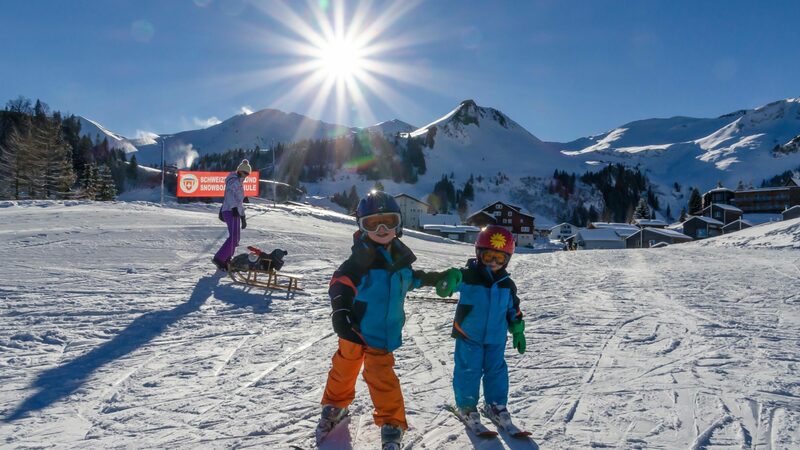 Beyond doubt: Stoos is the ideal skiing region for families. 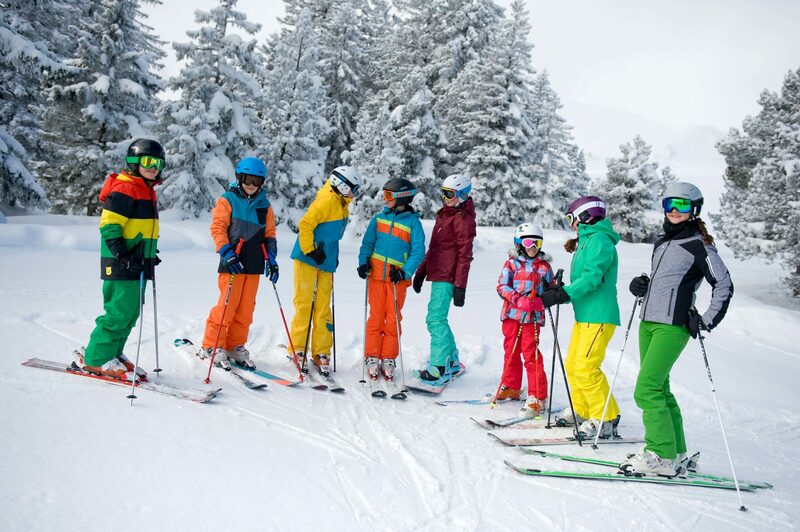 Winter sportspersons young and old will quickly make friends with their favourite pistes. You can comfortably reach other pistes with the chairlifts, ski lifts and connection lifts. Without having to carry your own skis or those of your children. Skiing becomes a pleasure with the proper method. 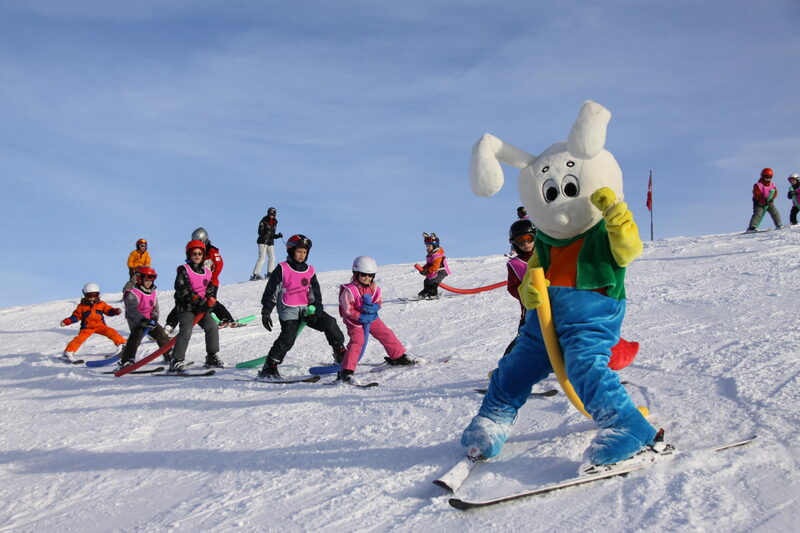 Children learn the method in a playful way at the Stoos Swiss ski school. Once you feel ready on your skis, you can continue to attend courses to develop your skills or switch to snowboarding. 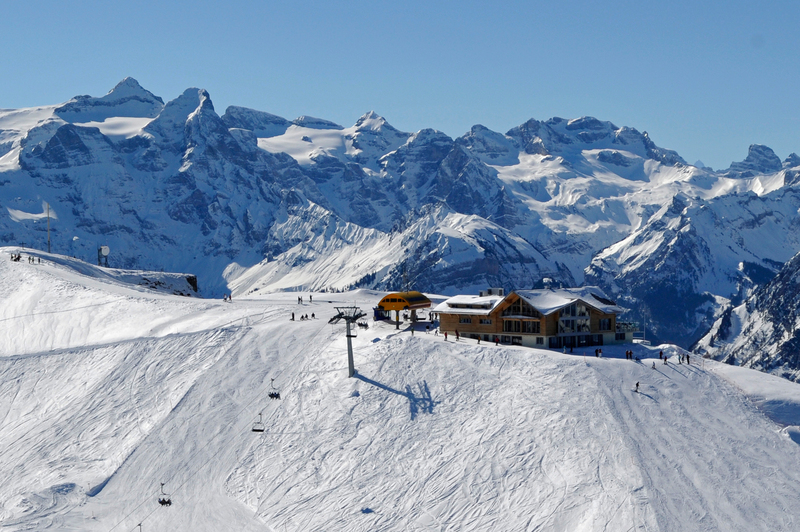 The winter sports region above Lake Lucerne is also attractive for families in terms of prices – whether it is for ski holidays or a skiing excursion. 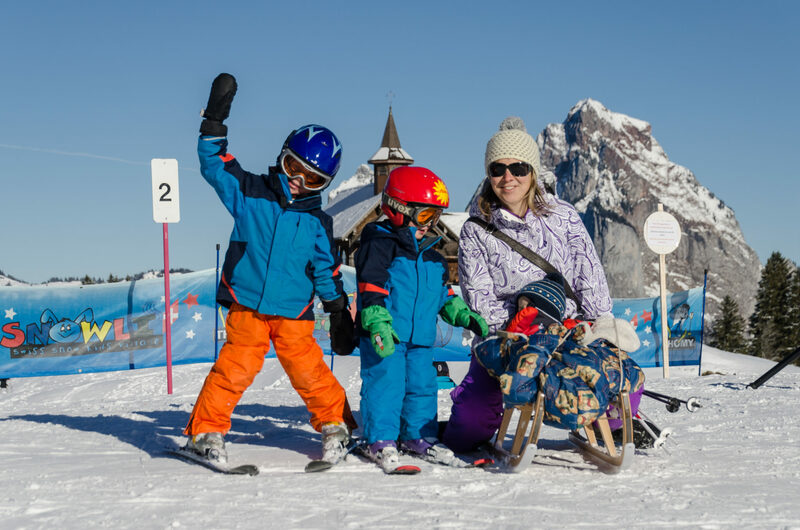 With the family steep pass, children ride for free throughout the entire winter season. Furthermore, the new pass grants access to family innovations, such as the “KidsFinder”, thanks to which parents can always keep track of the current location of their children. The safety of your children is paramount. Stoosbahnen AG therefore expanded its safety measures and added children’s safety bars to the chairlifts on the Fronalpstock. These are located at the entrance on the left side. 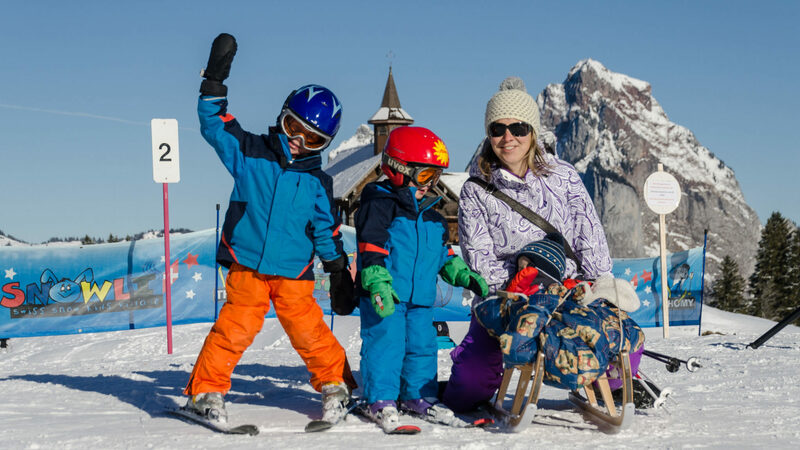 Vehicle-free zone, open and diverse range of pistes – the Stoos winter sports region is popular with families. Prices are also family-friendly thanks to the family steep pass and the family day pass. Families can benefit from great prices. 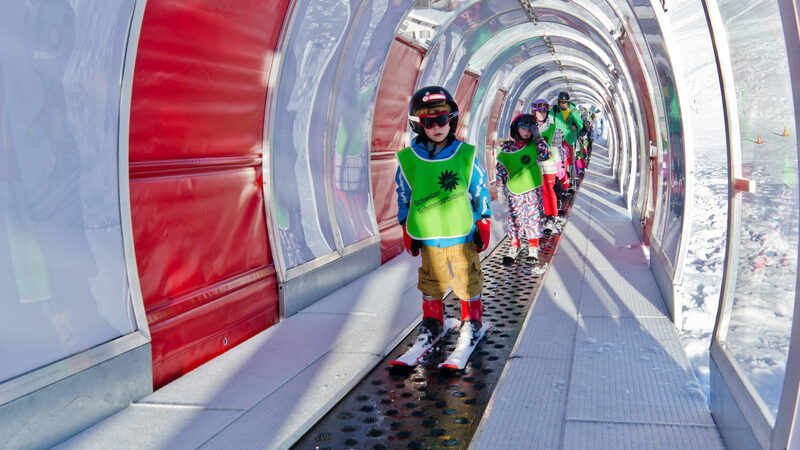 Parents with their own children under 15 years of age pay a lump sum for the family day pass. Seize the opportunity and obtain the Family Part Pass. With the Family District Pass season ticket, children under 16 can even ski for free on the Stoos: really steep! The children’s ski land is located at the valley station of the Fronalpstock chairlift. 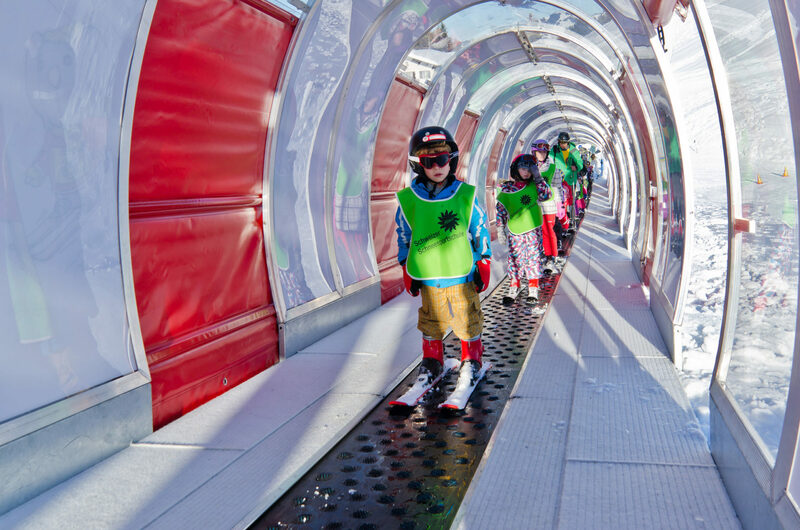 Its magic carpet makes the first rides easier for all beginners on skis or snowboards. The 63-metre roofed conveyor belt is available to all guests at no charge. Whether it is Piccolo lessons for the youngest or first tricks in the snowpark for the older ones. The Swiss ski school Stoos teaches according to the levels of the Swiss Snow League. Guaranteed fun! Become a racer on the Swisscom skimovie piste! Thanks to state-of-the-art technology you can film your rapid run through the gates and then share it with friends. You can receive the family day pass upon presentation of your family booklet (or ID document to serve as proof). 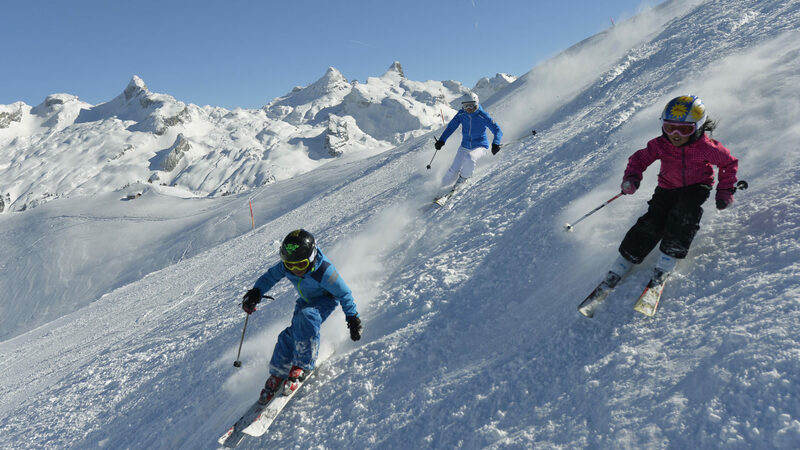 With the family steep pass, all children under the age of 16 ski for free. 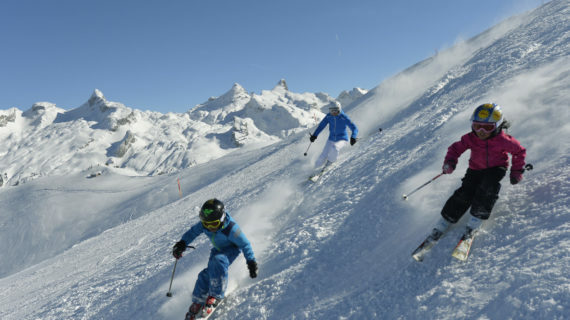 Compared to other similar ski regions, you save up to CHF 1,350.00 with the family steep pass.